Today we're excited to announce RunKit integration with GitHub's new content attachment api. We think linking to a RunKit notebook in a bug report is a great way to file reproducible bugs on a project. 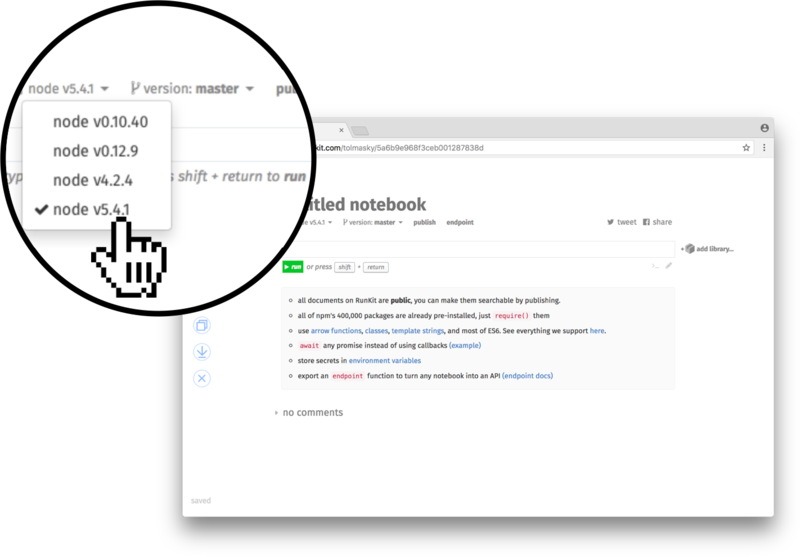 Now when you link to a RunKit notebook, the contents of that notebook will be inlined right there in the issue or pull request! At its core, RunKit is guided by the principle that the interactive programming models pioneered by environments like Smalltalk, Mathematica, and Jupyter offer an important path to making development truly accessible. Although this model has already proven itself in the data-science and prototyping spaces, we think it has tremendous potential for every-day programming as well. The REPL's that ship with most modern languages today give us a glimpse of this already, but we think they are just barely scratching the surface of what's possible. Embed.ly now supports RunKit as a content provider, which means that you can now embed any RunKit notebook on sites like Medium, or any of the other thousands of companies that rely on Embed.ly for embedding dynamic content. Since day one, RunKit has shipped with several fun ways to visualize your data including graphs, charts, and maps. Internally we call these "Value Viewers". As package maintainers you often know how to display your data better than we do. 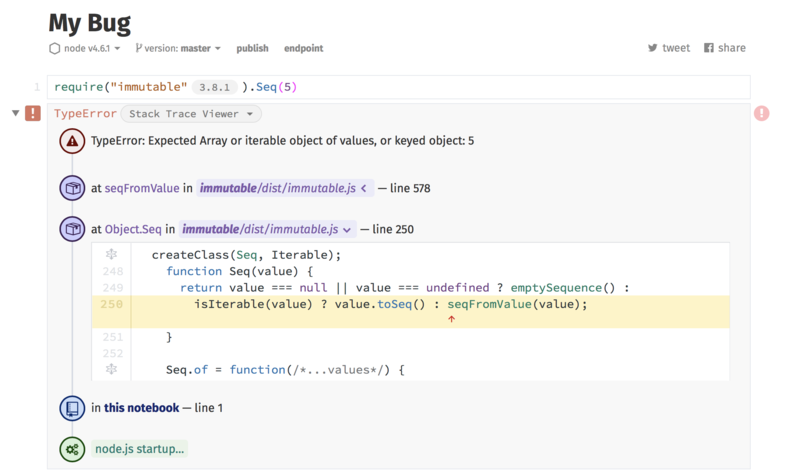 That's why today we're excited to announce we're opening up Value Viewers so developers can build their own! While querying our database to get exact numbers for RunKit's announcement of scoped package support, we realized npm recently passed an important milestone. So here's our belated card to celebrate the occasion. Packages have multiple versions. npm currently has ~330,000 packages. Packages have, on average, 6.74 versions. Do the math, and that's over two million versions of packages. One of the coolest things about RunKit is the ability to run Node.js code, and even use any package on npm, without having to install anything at all. Once we had that working, we immediately knew that it could be useful in so many more ways than just powering runkit.com. That's why I'm excited to release the first embedded version of RunKit. With one <script> tag, you can add a fully functional node environment to any web page. 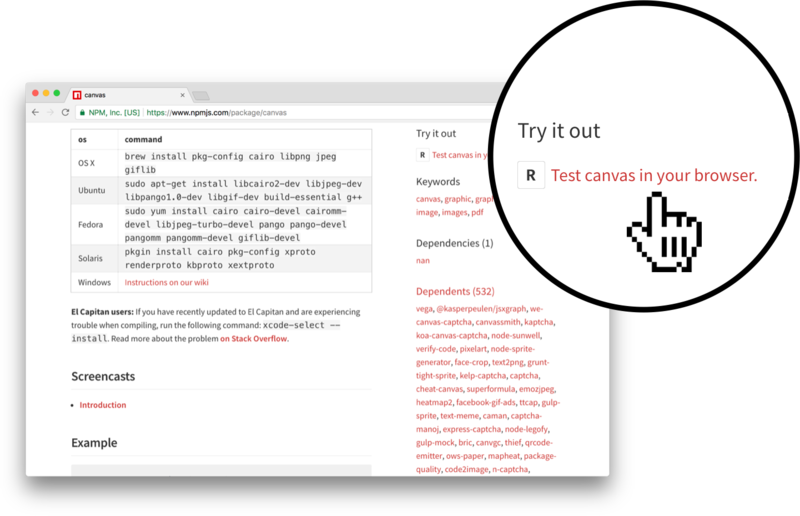 Your users can write and run code without leaving your website, complete with access to all of npm. Use it in your blog, or a presentation, or on any place else. Check it out!